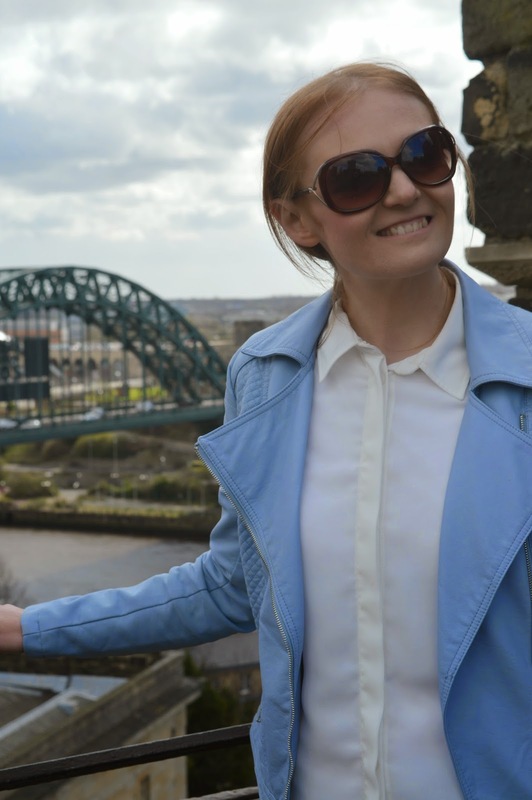 I could definitely forgive you for not realising there is a medieval castle in Newcastle, mainly because Simon didn't realise it himself until I arrived in the Toon and announced on one of our first North East dates that I'd like to visit it! You may have staggered past it during a night out at the Bridge Tavern, you may have rushed by as you were crossing the High Level Bridge or you may have vaguely noticed it on your approach to the Vermont Hotel. 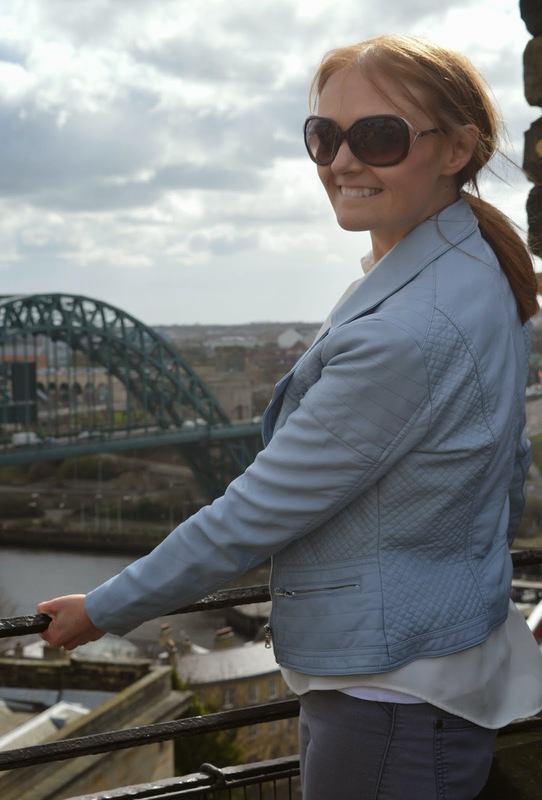 Well let me tell you now, Newcastle Castle is one of my favourite places in the city to visit. 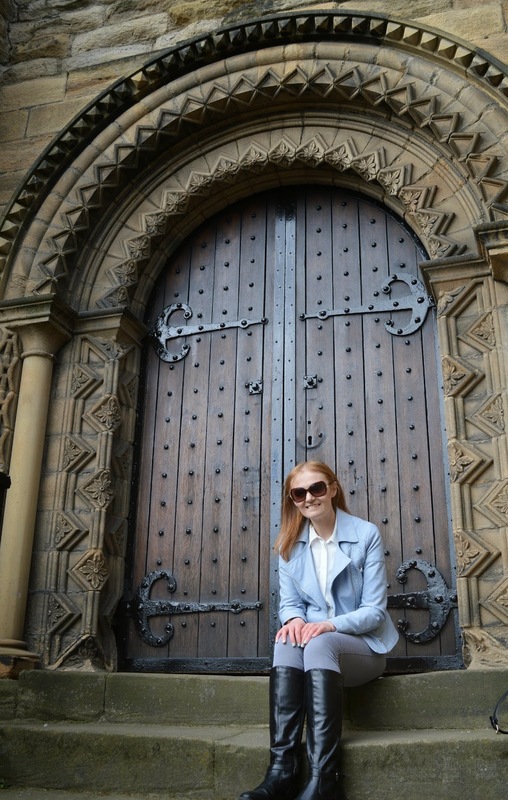 It has something for everyone whether you're a budding historian, want to learn a bit more about our beautiful city or simply want to enjoy one of the most breath taking views in the country. The Castle has recently reopened after a renovation so we were invited inside for a little play (cos let's face it who doesn't dream of being a brave knight or a beautiful princess!) and to take a look at the new exhibitions. 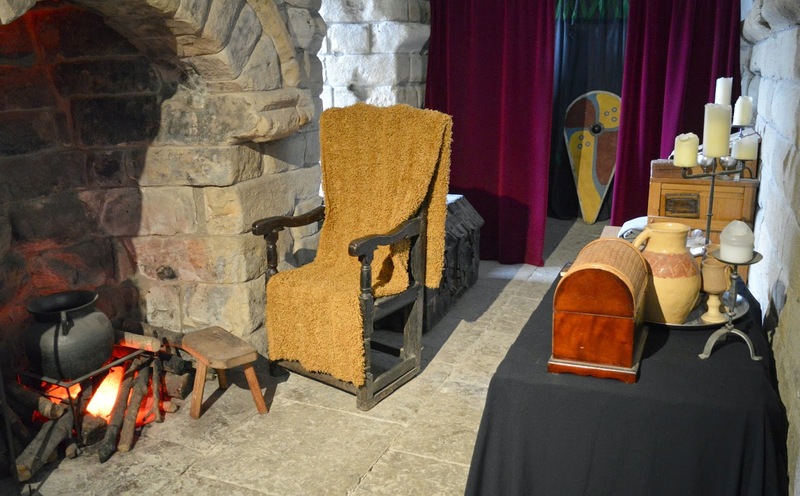 The Castle is made up of the Keep and the Black Gate and costs £6.50 for adults and £3.90 for children. Introductions over, let's take a little peak inside! 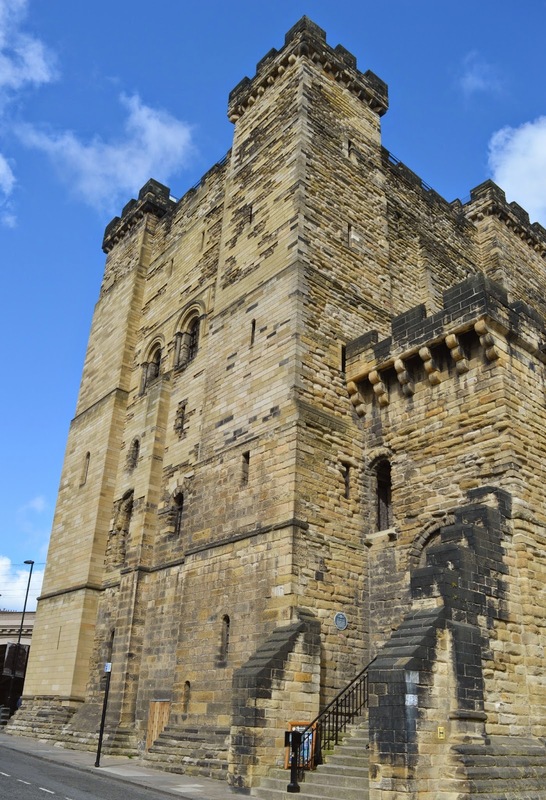 It may look small from the outside, but Newcastle Castle is very deceptive! When you enter, you soon realise that the building is a maze of dark tunnels, beautifully preserved rooms and winding stone staircases. I have a pretty awful sense of direction so exploring was even more of an adventure for me! We started our quest by learning about defence in the castle. We resisted the urge to play with a cross bow (definitely not a toy!) 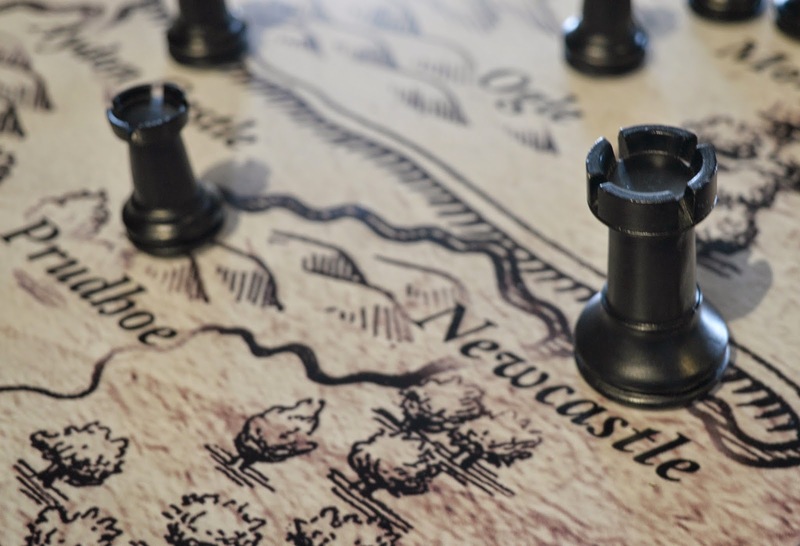 and carefully studied a North East map set up with battle strategies. It was hard not to get room envy in the reconstruction of one of the "solars", the private chambers of the Keep. It would have been occupied by one of the officers and it looked so snug. I would happily snuggled up by that fire with a book. Dotted around the Castle are lots of boards with bite sized facts about each room and what you can see. It's the perfect amount of information to digest and we learnt lots of interesting things. I'm no historian and don't really like being overwhelmed by dry facts and figures so I certainly appreciated the fun and interesting way that history came alive in the Castle. 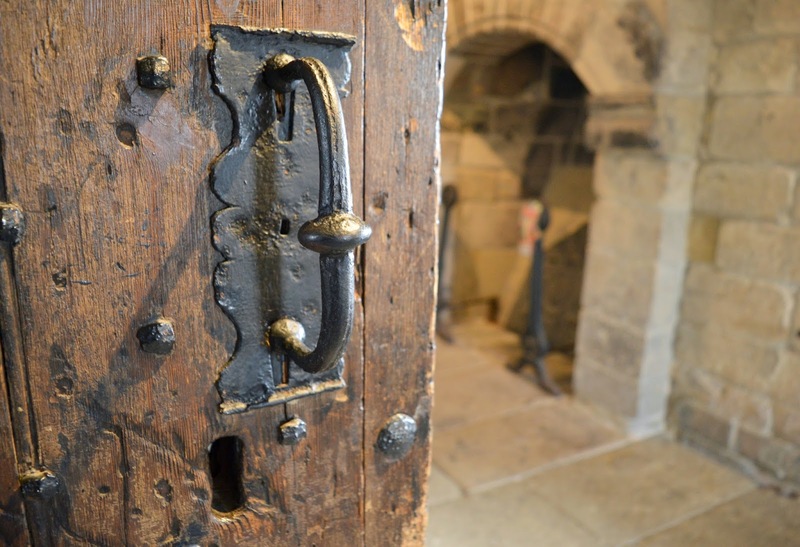 For those wanting a little more information, there's also an enjoyable short film to watch where local historians take you through each room of the Castle. My favourite room of the Castle was easily the Royal Chapel. It was stunning! 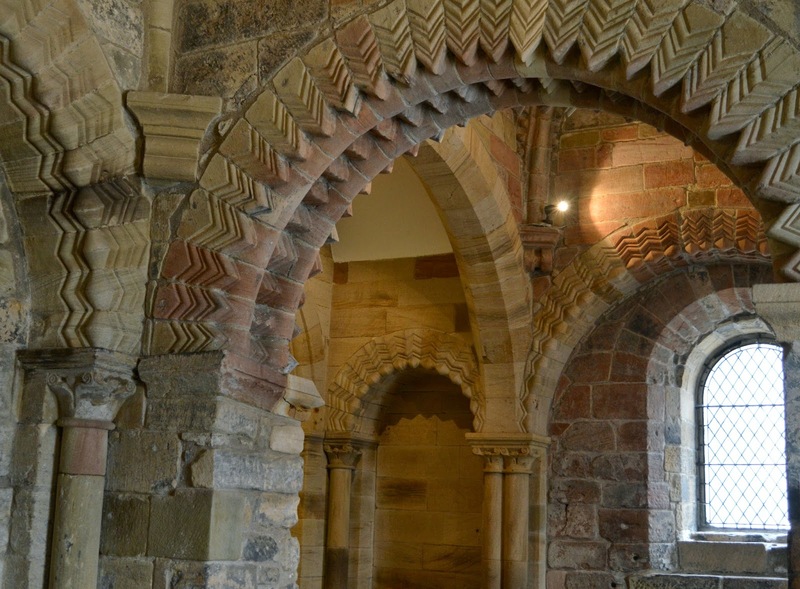 Perfectly formed arches with the most beautiful architecture. This was the room where visiting Royals would have come and it gave us gooesbumps to think that we could have been standing in the very spot where royalty had stood. Newcastle Castle is beautifully preserved making it easy to imagine what the Castle would have been like in times past. We learnt on the video that people had carved their name in the wall of one of the rooms during the Civil War and we could easily find the markings for ourselves as soon as we entered the room - amazing! 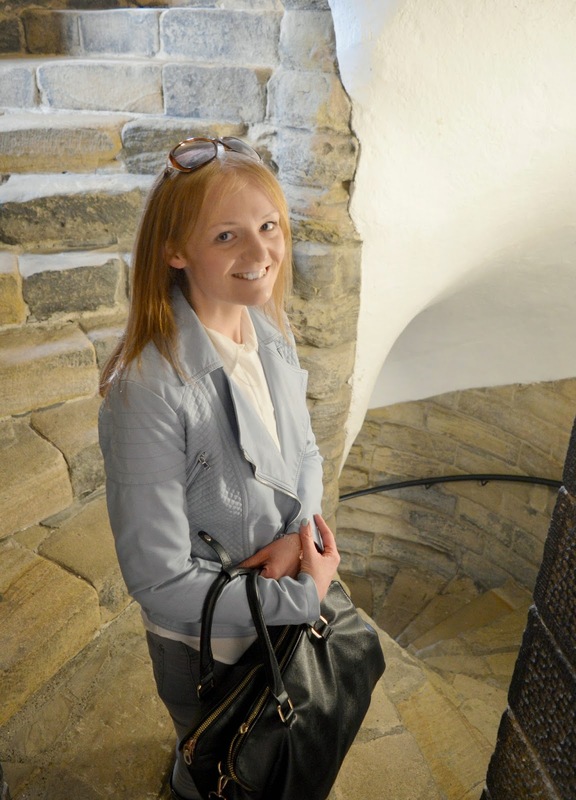 For me a huge part of visiting the Castle is the great present you get at the end as you reach the top of the 99 stairs and step out onto the roof. 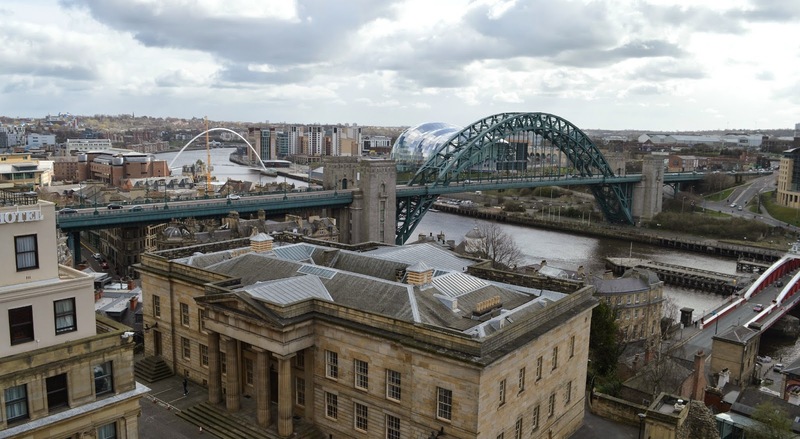 The roof offers THE best views of the city and I think there's many people out there who don't realise it making it one of Newcastle's best kept secrets! I could quite happily spend an entire afternoon sitting on the roof in the sunshine admiring my beautiful city. As always my attention was very much focussed on the River Tyne. Looking down towards Gateshead you get a very special view of three of our bridges - the Swing Bridge, the world famous Tyne Bridge and the UK's only tilting bridge, the Millennium. From the photo below you can see that between the Keep and the Black Gate there is, rather strangely, a railway line. The Victorians got a little over excited with the arrival of steam trains and, rather cheekily, built a railway line right through the middle of the Medieval Castle! Although several buildings were lost to make way for the rail line, these days the two sit happily side by side. 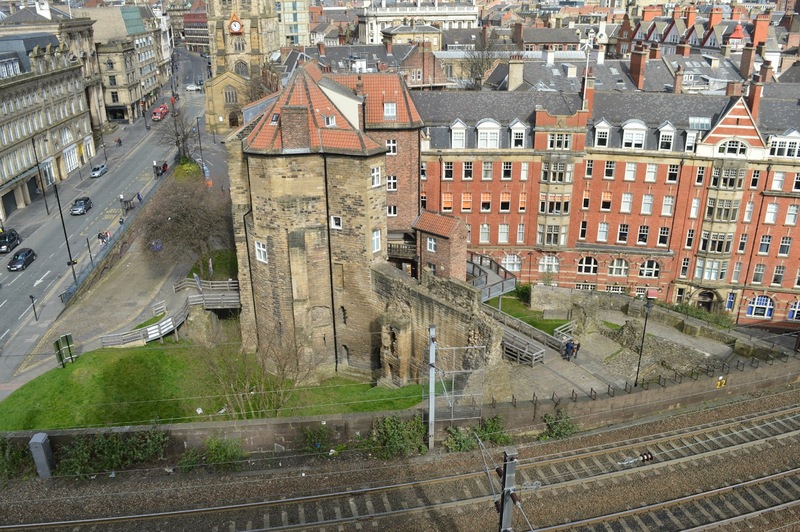 Next time you're in Newcastle Central Station waiting for a train take a little look down the track towards the city and you'll see the Castle sitting pretty in the middle of the railway lines! Things definitely look even better from above and I was pretty reluctant to ever come down. As we made our way out of the Keep still feeling giddy after that stunning view, I felt an overwhelming sense of pride for Newcastle! Unfortunately we didn't have time to visit the Black Gate but that gives us a perfect excuse to return soon. Next time you're strolling around the area why not pay the Castle a visit? 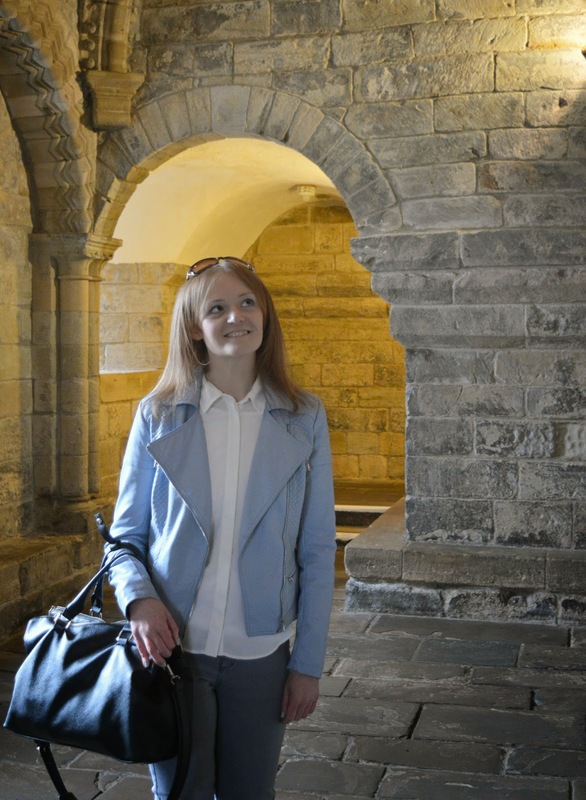 We were invited to look round Newcastle Castle free of charge but weren't obliged to write this review.